We can appreciate beautiful sounds without knowing anything about them. We can appreciate music without knowing anything about music, just as we can appreciate a good wine without any knowledge of wine, a painting without any insight into art history, etc. But if we know and understand, then our experience as listeners will be enhanced. 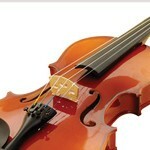 This is the first in a series of guides to guides on often labeled “classical music”. I am not presetning the music, but sources I have used to learn more on the music. In this first part I will present introduction to musical understanding and overview of the history of music. A lot of what I have read as history of music has been history of composers rather than history of music. Knowing the life of the composers may be interesting. But I have been searching form studies on how the music has developed, without having to go very deeply into advanced academic literature on the subject. Eventually I have found some. After a posting on the subject on my norwegian blog, a reader directed my attention to several series by Robert Greenberg, published by The Teaching Company. At the time I did not know neither Robert Greenberg nor The Teaching Company. This was one of the best tips I have received for a long time. The last year I have spent a lot of time listening to a number of his series (but have I not yet had the time to listen to all of them). Robert Greenberg is a composer and music historian, and takes an inside view on the music. We really get an understanding of the music. The music is presented in its political and cultural context. And he is an excellent ane entertaining lecturer. Could we wish for more? I am confident that this has made me a better listener, and hopefully a better musician too. The Teaching Company has series on a vast number of subjects. So far, I only know their series on music. Inspired by the quality of their music series, I have bought some DVD-series on art history, but have not yet had the time to play and view them. Some words on the sales practise at The Teaching Company before going into the music: They say that all their series are on sale at least once a year. In practise, they are on sale more often. At any given time, a large number on their series are on sale. Being on sale typically means a 70% discount. So unless you are very rich or need to have a specific series NOW, wait till what you want is on sale — and maybe buy another series in the meantime. You can choose between DVD, CD and Audio download. To me, music is an audible art. I do not have to see the presenter. All my comments refer to the audio-versions. The advantage of audio is that we do not have to look at it. I listen to these series while I am training, preparing food, etc. I could not have watched the videos while doing that. With each series you get an extensive printed supplement, downloadable as pdf-files if you choose audio download. I recommend that you start with Robert Greenberg’s series “How to listen to and understand great music”. It is a series of 48 lessons of 45 minutes each. For details on the content, go to The Teaching Company’s website. Robert Greenberg’s approach, even in an overview of 2000+ years of music, is to choose some key works which are analysed in some depth, rather than giving a little bit of everything. In my opinion, this is a good apporach, which helps ut to get an in-depth understanding rather than a superficial overview. I assume that a large proportions of you who are reading this are guitar players. I do think that you, or i can say we will benefit from having a good understaning of many types of music. No matter what you play, you should never limit your listening to your own style of music. As musicians, we must constantly widen our horizons. Let’s face it: We guitar players are generally unschooled musicians. We may be very good at playing our instruments, but many of us lack a profound understanding of music. If we serach for books and vidoes to help us improve our playing, we can find a lot about licks, scales and transcpritions. But it is hard to find anything on how to turn a lick into music. Knowing a little bit about the compository techniques of old masters like Bach and Beethoven and how they developed there themes and motifs into great music may help some of us escape the repetition of licks and scales, and turn it into some real music. From Robert Greenberg, we get a lot of this, even though his courses are focused on listening and understanding, not composing and playing. Fore musicians without any formal musical training, I will also recommend Robert Greenbergs series Understanding the Fundamentals of Music,. It is more techincal in its approach, like having a book on grammars when you are trying to learn a new laguage. Generally I find Robert Greenbergs series entertaining, but I found this one a bit boring. I may have found it boring because I realised that I already knew what he was teaching. But even if it may be a bit boring, it can be very useful. 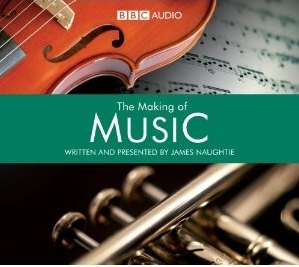 Some years ago, BBC radio had a series on “The making of music”, presented by James Naugthie. It is a series of 60 episodes, each lasting 15 minutes. It is now available as two boxes of 6 CDs. It was my favourite until I discovered Robert Greenberg series. It is more an overwiev compared to Greenberg’s series, but it is an excellent overwiev — as we will expect from BBC. James Naugthie does not inside the music as much as Robert Greenberg does. I will say get both, but if you will have only one, go for Greenberg. 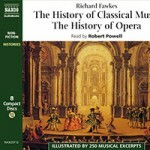 The third option is a 4 CD set issued by Naxos, called The History of Classical Music.It is number three on my list. But if you want more after having listened to Robert Greenberg and maybe James Naughtie, then you should go more in depth rather than get another overwiev. 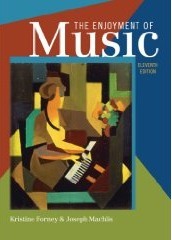 The first book I found with an approach I really like is Joseph Machlis and Kristine Forney “The Enjoyment of Muisc”. I have the 8th edition. 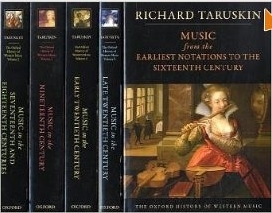 An 11th edition will be available February 1, 2011. My understanding is that this is a book much used in colleges and universities. It is a book that presents the music. Music is an art of hearing. Those who are really experts may read a score and enjoy the music, just as Beethoven read and enjoyed the score to Rossini’s “The Barber in Seville”. But I am not among those who can read music in this way. To the book, there is a box with 8 CDs containing music presented in the book. If you get the book, you have to have the CDs as well. If you read music good enough to follow a score while listening, I recommend that you get The Norton Scores vol 1 and vol 2, two books with scores to the music on the CDs. But if you do not read music, the scores will not be of much help. Another classic is Aron Copland’s book “What to Listen for in Music”. It was first published in 1939, and are sold in 1,5 mill copies. It seems that it is currently not in print, but we could hope for another reprint. 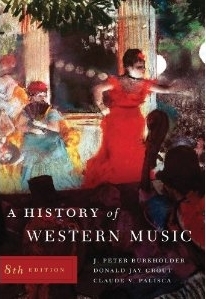 I also like “A History of Western Music” by J. Peter Burkholder, Donald Grout and Claude Palisca, a book that is now available in its 8th edition (I have the 6th edition). Again the book is the core of a package. There are three sets of CDs with the music presented, “Norton Anthology of Western Music”: Vol 1 (Ancient to Baroque), Vol 2 (Classic to Romantic) og Vol 3 (Twentieth Century), and three volumes with scores to the music: The Norton Anthology of Western Music Vol 1, Vol 2 og Vol 3. If you want more on the history of music, the five volume “Oxford History of Music” is available in a paper back edition at a good price. I will come back with more. Nest time it will be on opera. Stay tuned! The Beatles podcasts did not last long on the net. NRKs agreement with two of the three organisations involved only allow NRK to podcast programs containing music for a periode of four weeks after the program was sent. The “Daily Beatles” series was sent in 2007, which mean that it cannot be made available (with the music) as podcasts now. For this reason, the series has been pulled from the net. It was too good to be true. Go to NRK for further explanations. Complete Beatles on the net — for free! In November 2008 there was a real breakthrough in the negotiations between The Norwegian Broadcasting (NRK) and the Norwegian Colleting Society for composers. Under this agreement NRK now has the right to make podcasts with music available on the net. The program that is podcasted can not have more than 70% music, meaning that they cannot podcast music as such, only programs including music. In 2007 NRK was celebrating the 40th anniversary of Sgt. Peppers with a series running for the entire year called “Daily Beatles”. They told the story behind each tune recorded by The Beatles. One song each week-day, with a few minutes talk and the song. 212 programs in all. The series was podcasted, but at this time only the talking, not the music. Now the series has been republished as podcast including the music. My understanding is that it will all be made available in January 2009 (the songs from the first album, Please Please Me, was made available today and the rest will follow. They will be available for four weeks. The Beatles, or those who are managing their recorded portofolio, has been very reluctant to making their music available for download. You will not even find it on iTunes. When the songs are made available for download as part of this series, they will probably be legally available for download for the first time — and they are available for free. Beeing norwegian, I really enjoy the programs “Daily Beatles”. For those of you who do not understand Norwegian, the price will be that you have to stick with a few minues of unitelligibel talk before each tune (if you do not edit). The RSS-feed for the series is http://podkast.nrk.no/program/beatles_komplett.rss. But I have to add a word of warning: It may be geocoded. If so, you will not be able to download the series outside of Norway. A few years ago, I featured selected books and videos as “Book of the month”. I will pick books and/or DVDs I will recommend under the heading “Recommended”. (I will not put pressure on my self to pick a new each month). In the first installment I have chosen to feature books and videos on the playing of the great bluesman Robert Johnson, under the title “Learning to play Robert Johnson“. There is a clear winner: Rory Block’s two DVDs “Rory Block Teaches the Guitar of Robert Johnson” and “Rory Block Teaches the Guitar of Robert Johnson Vol 2″. But you should also have Robert Johnson’s recordings, for instance “The Complete Recordings”. 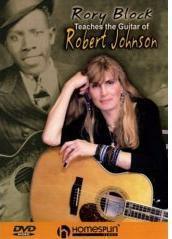 Go to “Learning to play Robert Johnson“ for more. My lessons on music theory are to a very large extent based on what I learned from John Duarte’s series on music theory in Guitar Player Magazine back in the 80’s. Or to put it a bit different: I learned most of what I know from his articles. From his vast knowledge he was able to present it in a form that made it understandable for us who do not have an academic degree in music. And it was all applied to guitar. Many times I have said that I wish he would publish a book on the subject. 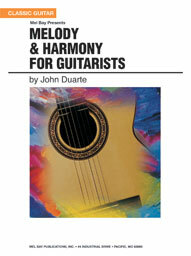 Now a book is here, called Melody & Harmony for Guitarists. I have to add that so far I have only seen information on the book in “new publications” lists. I have not yet seen the book. But as I have been hoping for a book on the subject by John Duarte for a very long time, I include this “news” notice. I wil come back to the book when I have seen and read it. But if it is a bit like his Guitar Player articles, it is definetly worth having. The book is available from Amazon.com and SheetmusicPlus. At the time of writing it is not available from Amazon UK, despite the fact that John Duarte is English. But I hope it will be available soon. I recently read that some guitarists who where called experts on Open-G tuning, Keith Richards was one mentioned, tuned the second string, which is the third in the chord, a little flat to tune it to the overtones rather than to the standard G-major chord. A little theory must be insterte here. When a guitar string is ringing, it produces many tones. We find the first overtone when the string is divied in two, with the string vibrating as two halves rather than in the whole length. This is the note we get if we play an harmonic on the 12th fret (touching the string lightly at 12th fret when it is picked and released imediatly. This will isolate the first overtone. The next overtone is the string divided in three – which give us a perfect fith above the first overtone (one octave + one fifth above the root). This is the harmonic on the 7th fret. When the string is divided in four, we get the overtone one octave above the first overtone (two octaves above the root). This is the harmonic on the 5th fret. So far we can stay with the frets. But the next overtone is one third above. But it is neither a major nor a minor third. It is slightly below the major third. 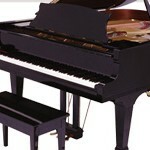 The way we tune the guitar (and the way a piano is tuned) is a compromise called a tempered tuning or equal temperament. The distances between the notes are divided into equal half steps. But this is not in tune with the overtones. In a just or natural temperament you tune to the overtones. And this is what we can to in for instance Open G tuning. The easiest way to in what can be labeled just Open-G is to find the fourth overtone, the harmonic slightly below the fourth fret on the 3rd string. Tune the 2nd string so that the harmonic on the 5th fret equals this fourth overtone on the third string. I have tried it with slide and it works very well. As long as we do not move to far from the root, the just or natural temperament works great. But it will not work if we move far away from the root and into other keys. The equal tempered tuning was needed for more complex music with modulations to other keys, etc. You may also run into trouble if you play fretted chords that are not just barre chords, as you change the relations between the strings. (You cannot play a B on third string, fourth fret, as it will crash with the slightly detuned B on the second tring). And if the rest of the band is playing in equal temperament, you may run into trouble. But try it out. It should work in Open-D, Open-C and any other major chord tuning. But so far I have only tried it in Open-G.
You may have noticed that I have included list of bestselling guitar books and bestselling guitar videos. It is intereseting to see which books and videos people are buying. I see some of my own favourite on the lists. But there are also some surprises. Some long time out of print books are still selling in the second hand market (through Amazon). Stefan Grossman’s first book, his classic Country Blues Guitar is one of the books that seems to be sought after. If you are learning to play, I will recommend some of Stefan’s more recent books (or videos). But it is a classic. I am also pleased to see one of my favourites, Dominic Pedler’s “The Songwriting secrets of The Beatles”. If you want to learn music theory applied to pop and rock, and a lot about The Beatles, it is my first choice. It is more accessible than Walter Everett’s books if you do not know very much about theory. The majority of the visitors to my site comes from US. This book seems not to be distributed in US, meaning that you have to order it from Europe, either from Amazon UK or MusicRoom. But despite of this, it is among the most bestselling books. The list of New books and New videos in my “Bookstore” are generated by selecting a limited number of updated records from the database. They will automatically be removed from the list when three months have elapsed from the the time they were added or updated. As I have done some changes to all the records as part of the redesign, all records are marked as updated January 29, if they have not been added or updated after that date. I will not change the selection, meaning that all books and videos will qualify as “new” until the end of April. Until then, this lists will be misleading. But new additions or updates will always be on top. I am constantly working on the site. There are still sections that are not transferred from the old site and new material is added. To keep yourself updated, simply subscripe to the RSS-feed from this bolg: http://guitarblog.torvund.net/feed, and you will be informed when there are news worth telling. On the top of Google! From time to time I do a Google search to check my ranking. I usually search for blues guitar. As long as my site is listed on the first page, it is good. Most often it has been somewhere between 3 and 5. But today, for the first time, it was number one! As far as I know, Google is to some extent regionalized. It may be that people searching from other parts of the world will get a different result. But I still see it as a significant improvement of my ranking.